In part, this attrition of attention is probably because population is deemed “old news,” like grass growing or glaciers crawling. The human population has been expanding for thousands of years, after all. Even the much-hyped “population explosion” has already been detonating for, oh, just a couple of centuries or so. Most reporters have short attention spans – to be fair, so does the public – and they long ago got bored and looked elsewhere at other more topical and tragic “explosions.” And sadly, in recent years there has been a plethora of “real” explosions of bombs and the like that distract one from the long-term threat posed by the human population explosion. Population growth lurks ever in the background, and indeed, to the extent that it can result in social instability, high unemployment, hunger, disease and mass migration, as well as a host of environmental and economic ills, sustained (but not sustainable – big difference!) population growth such as the world has seen over the last half century can contribute in a very real way to the other type of explosions involving bombs and improvised explosive devices (IEDs). Ignored or not, the stunning statistics on rapid population growth continue to alarm, at least for anyone who still has a mind to think and contemplate consequences, senses to perceive an ever-more overloaded Earth, and a conscience to feel discomfited. Every year, more than 80 million human beings net (births minus deaths) are added to the planet. Each one represents an additional burden on an already beleaguered biosphere. And that’s just the net increase. According to figures from the respected, Washington, D.C.-based Population Reference Bureau (PRB), in 2015 there were almost 146 million births and about 57 million deaths, for a net increase of nearly 89 million people on the planet. 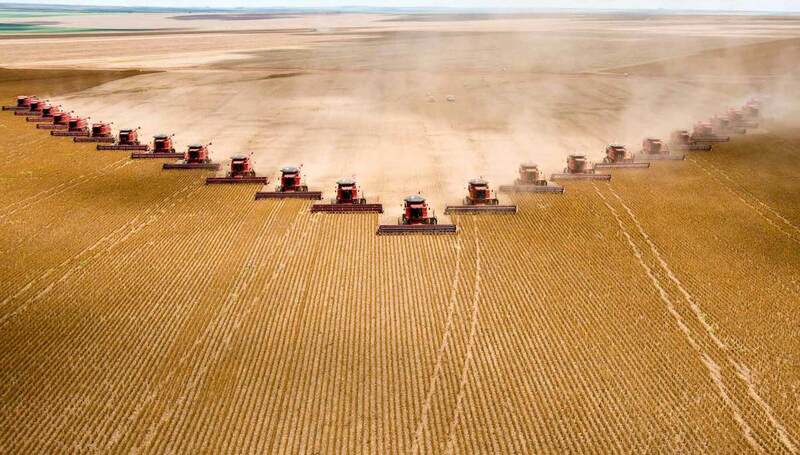 Modern, industrial agriculture has massive environmental impacts. Every single day, Mother Earth has more than 240,000 new human mouths to feed; where will she find the food? From her shrinking rainforests, overfished oceans, deteriorating croplands, eroding rangelands, expanding deserts, dwindling wildlife? No one has a satisfactory answer, except the hope (delusion?) that science and technology will ride to the rescue before the Four Horsemen of the Apocalypse make their appearance. But even the “father” of the Green Revolution (which greatly expanded agricultural output with high-yield varieties of grains) – Dr. Norman Borlaug, who warned of the “Population Monster” – cautioned against counting on this. In recent years, the rate of population growth – measured as the annual increment of people added to the Earth – has actually increased. 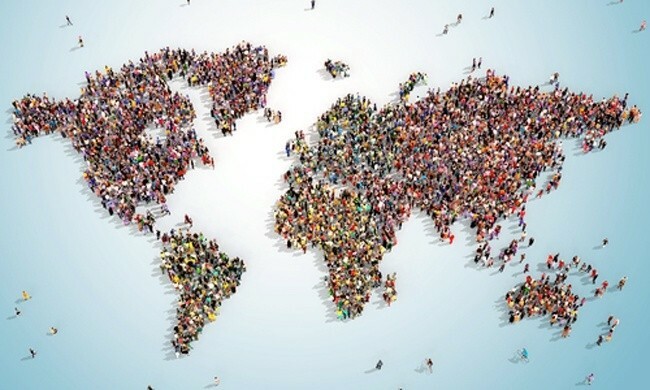 At a time when many demographers and “birth dearth” pundits two decades ago believed we should already be well on the way to a stabilized or even declining global population, PRB’s world population data sheets show that the annual number of people added to the world population actually increased from 83 million in 2004 to 89 million in 2015, as noted above. The world is moving away from – not toward – population stabilization with numbers like this! While there has been substantial progress in lowering high birth rates and sharply reducing the rate of population growth in scores of countries representing very diverse cultures, in some regions this progress has stalled, and in one major region in particular – much of sub-Saharan Africa – it never really started in the first place. Writing in the Financial Times recently, that newspaper’s Africa editor David Pilling noted that Africa is on an ominous demographic trajectory that will double its current population of 1 billion by 2050 and quadruple it to 4 billion by 2100. This will have devastating consequences for Africa’s human – and nonhuman (i.e., wildlife) – residents. It is against this decidedly mixed backdrop of demographic progress and peril that the United Nations highlights World Population Day today, Monday, June 11, 2016. “There are more young people in the world than ever before. With proper investment in their education and health, they could transform their countries’ economies and futures,” declares the United Nations Population Fund (UNFPA). The theme of this World Population Day is “investing in teenage girls.” It is not an exaggeration to say that the future of the world is in their hands, hearts and minds. Empowering girls and women worldwide – on matters of health, as well as their education, career and marriage choices – is really the only hope of we have of defusing the population bomb before it inflicts any more violence on each other…and our long-suffering planet.